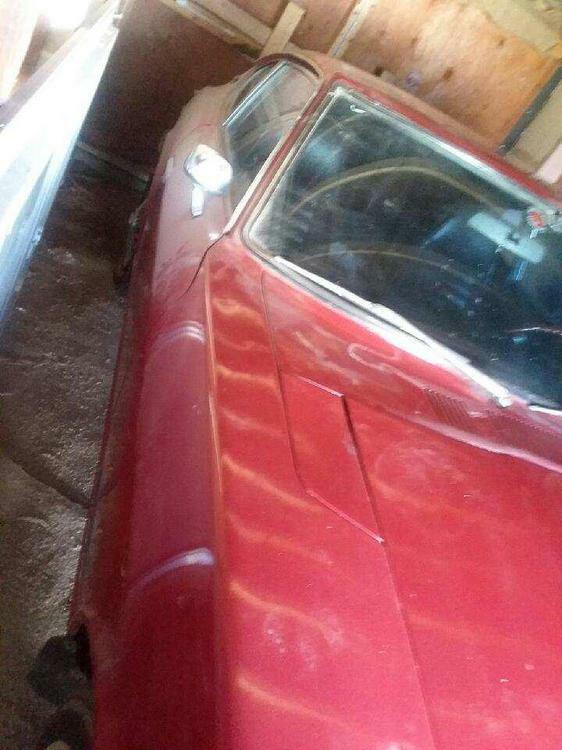 From what I can see / what she has told me, the car was bought right around the end of '70 or '71. It has roughly 40k miles on the odometer and is an Automatic. 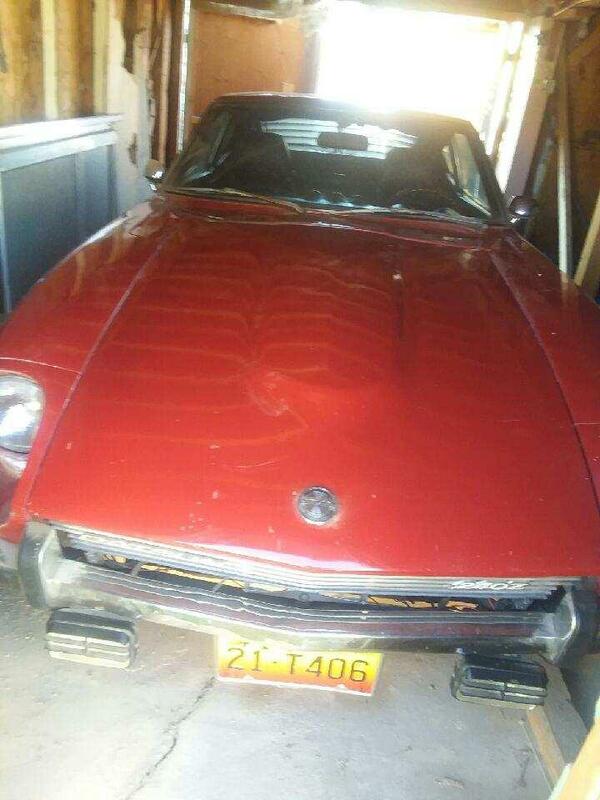 I posted some pictures on r/Datsun over on Reddit and was told to post here since there's more knowledge and activity on this forum. I'm flying out to her place in the midwest to have the car put on a truck and sent to FL where I live. It currently does not run. Are there specific things that I should do to the car to get it ready to ship? It'll need to be put in neutral to roll and the rear drums may need to be freed, but outside of that, any advice you can offer would be appreciated. The shipping company I've contracted with will be putting it in an enclosed trailer for the ~1800 mile journey and has a winch to pull it if needed. I was also looking around online and came across a build/equipment list for chassis and engine/transmission combinations which says that Series 1 240s were only offered with an AT for a short period of time. Is that correct and does anyone know what months/years? That will help me narrow down the paint color between 905 and 110 since I don't have access to the car until I go get it. It'll also dictate more of what I do with the car. My original plan for the 280 I bought was a resto-mod with flares, t3 Suspension, and an engine swap. Since this thing looks to be in good condition and may be rarer than I thought- I may have to keep it as original as possible out of respect for the car. I'm betting 905 Monte Carlo Red. 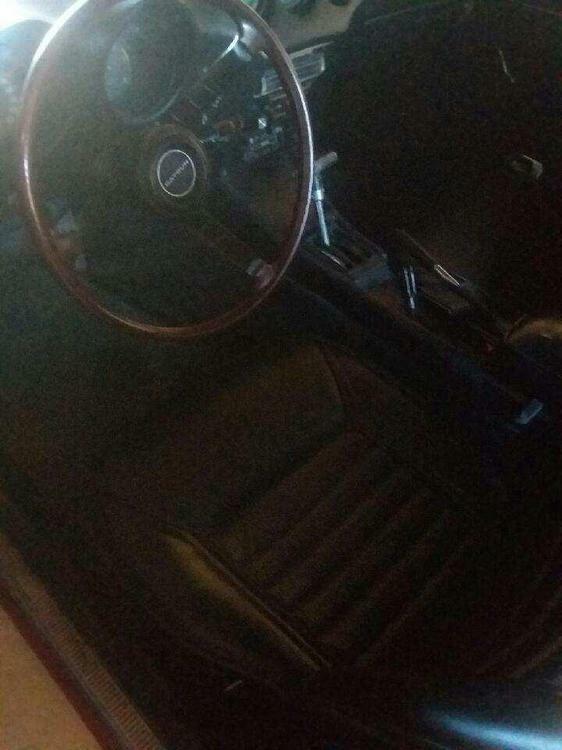 Its an early car and probably worth more in a stock configuration, but it's your car. Nice find! No, you don't really need to do anything more other than get it rolling before you ship it. Probably air up the tires. The front valance is pretty low and often gets damaged. Don't let the guy with the winch just crawl under and hook up to the crossmember without being sure the valance won't get dented by the cable when he pulls. In the back the gas tank can be in the way if hooks to the diff. The hooks and loops left on the car from shipping aren't tow hooks. Don't let him use those to pull on. Wheel straps to hold the car in place are probably the best way to secure the car in the trailer. There's not much to grab on to underneath, no frame to hook on to. If the company regularly ships old cars they should know. If not, they could do some damage. Breaking the drums loose can be almost impossible in some cases. Don't assume that it can be done in the time that you have. There's probably mice living in it. Watch out for hantavirus. That's a good call. Hopefully, the drums are not fully seized. The 280z that I bought was outdoors for the past few years and was filled with broken snake eggs. I didn't think anything of it until I heard my wife screaming because a 4" corn snake had managed to leave the car and get into our dining room after a few weeks of living in the garage. Oops. I had understood differently. Maybe it's the back loops. Nice post. Dragging seized brakes might put him over the limit though. Funny how they don't show towing from the back but all of the kids' race cars today have to have a shiny red tow hook in the back. Weird. There seems to be so much confusion about tow hooks! How can that be?! The loop eye bolted to the front frame rail is the specified tow hook per the owner's manual and service manuals. There is a load rating given for it. Towing the car from the front is the only concession made. There is no recommendation for pulling or towing the car from the rear. These hooks mounted to the rear bumper brackets are tie-down hooks meant for transportation purposes; keeping a car stationary on a flat surface. That's how the cars were secured during shipping. Sometimes they were removed by the dealer but I see them all the time. They have no structural load rating. 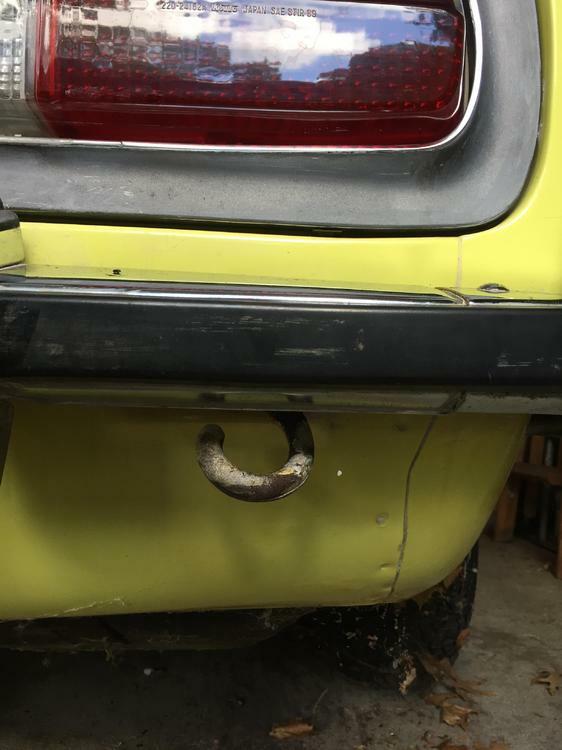 There seems to be so much confusion about tow hooks! How can that be?! 87mj seems to be talking about some other problem. "shifting forward". Not really sure what he means, doesn't really seem to be about tow hooks at all. The OP might have to pull from the back. Generally, the advice is "make sure the guy doing the pulling is careful". Make sure the car is secured properly for transport. Two areas where damage, generally, occurs. If the car is being shipped in an enclosed trailer - towed by a pick-up, by a private transporter for example. Then you can use wheel dollies on the rear wheels to load and unload the car. 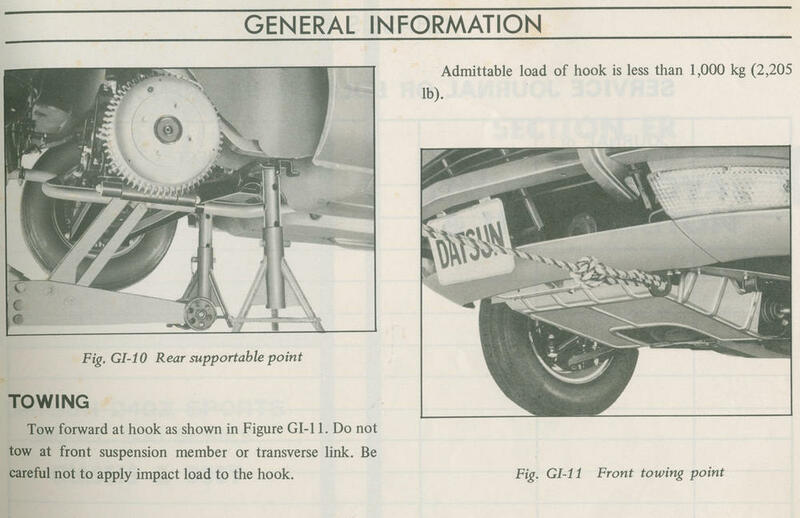 Just jack the car up and slip the wheel dollies under the rear wheels. Then remove them to tie the car down in the trailer. Reverse operation when it get here. DO NOT pull the EBrake lever. DO NOT PULL THE EBRAKE LEVER.!! DO NOT attempt to start the car prior to shipping. Don’t put a battery in it. Wait until you have car home..
Looks like Red to me - also since the rear tail light finisher is painted red - it may have been repainted at some Point. The A/T equipped 240Z’s start in production around 07 or 08 of 70. They seem to have been made in groups during 08, 10 and 11 of 70. See@jem2749 told you these dudes would answer your questions ha. Nice to see you here. Thanks to everyone for all the advice and assistance. The car just got delivered yesterday and everything went super smooth. My Datsun shared the 1800 mile journey with a Mclaren 570s bound for Sarasota- so it was in good company. 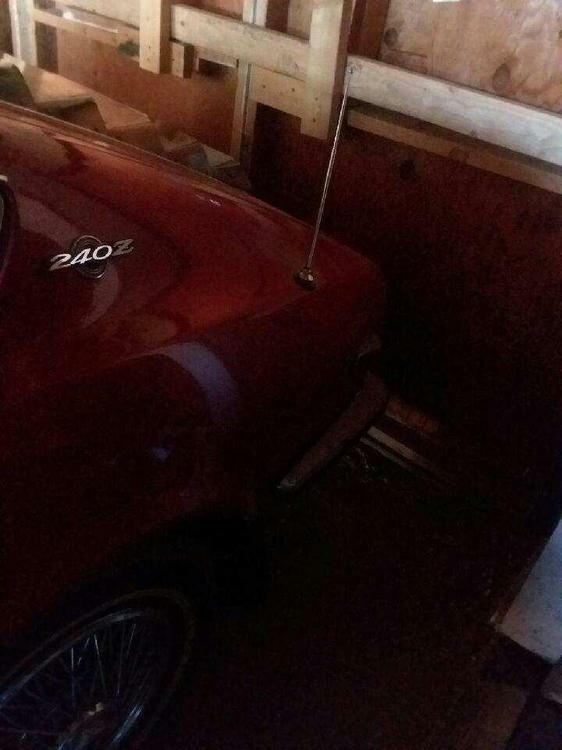 Here are some pics of the move and it sitting safely in my garage. Wow that’s super clean. I like the fog lights! What’s next on the list of stuff to do? Very nice! Congratulations on your purchases, looks really good. I hope that the second garage is yours, not the first one. Haha yeah, the 2nd garage is mine (although it needs to be cleaned out). Taking some time this weekend to do a full "inspection" of the car and determining a course of action. So far, there's no rust that I can find but that may change as I pull panels. I'll bet you could bring that paint back without too much trouble, what a great find. We all have dreams about finding a Z that hasn't been touched in decades. The hood and front fenders need a total respray. The tail light panel was also color matched in 1985 for whatever reason, but that's something I can easily fix myself. I may have to keep it as original as possible out of respect for the car. Just do it for your wallet, or both. It has known history. Quick resto and sale, then start another project maybe. Although, the resto-mods seem to be doing well. Did you ever post the VIN? Some people want automatics. I hear they drive pretty smooth. 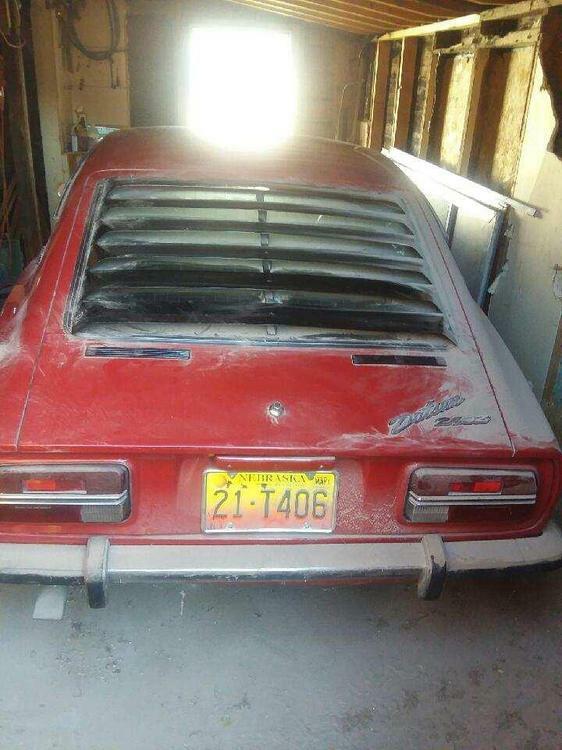 So I'm thinking it was sold as a '71 even though the door tag says 10/70? I don't know the break point for model years. October is either late 70 or early 71. The date you're seeing is the build date. All manufacturers start building next year's models before the first of the year. It's neat car with paperwork. Keep those documents and put a story together.